In eleven IPL seasons, Delhi Capitals (erstwhile Daredevils) have only entered the play-offs thrice, If they could somehow manage to finish in the top-five this season, JSW ought to consider it a good-enough investment and something to build upon. In the 11-year history of the Indian Premier League (IPL), no franchise had ever changed names. There were oddities, yes – Kolkata Knight Riders changed their jersey colour from black to purple, Deccan Chargers became Sunrisers Hyderabad because of a complete resale, Pune Warriors India and Kochi Tuskers came and went, so did Gujarat Lions and Rising Pune Supergiant (or Supergiants, whatever you prefer to call them!). What the Delhi franchise have done is a singular happenstance in IPL history. Unlike Deccan Chargers/Sunrisers Hyderabad, there isn’t a complete sale or takeover after a particular ownership went under due to financial reasons. Unlike Rising Pune Supergiant(s), it is a re-arrangement of more than a single alphabet. In this case, JSW Group – who had been looking to invest in IPL for some time – came in to lighten the load on GMR (Delhi Daredevils’ original owners) and bought a 50 per cent stake in this franchise. Of course, things had to change, with ownership structure and everything else undergoing a transformation. Off the field, they have hit the reboot button; from CEO, to support staff, to media personnel, and to a new-look jersey, orchestrating a completely new vibe about the franchise, complete with a new name lacking any sense whatsoever. Yet, it’s the on-field performances that have always mattered, and will continue to matter. 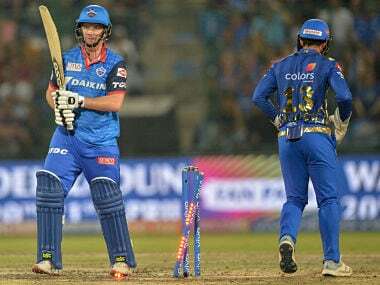 So, where do the Delhi Capitals stand ahead of the 2019 IPL season? The key strategy for Delhi, through the past few seasons, has been to retain a majority of their young blood. It was a process set in motion when Rahul Dravid had joined the franchise as mentor, and it is to their credit that the team management have persisted with this move even after his departure. Thus, we see the likes of Rishabh Pant, Shreyas Iyer, Prithvi Shaw and Kagiso Rabada forming a key core of their playing eleven again this season. This exuberance of youth though needs to be tempered with experience even in this slam-bang format, and thus Shikhar Dhawan’s addition to the squad is of prime importance herein. 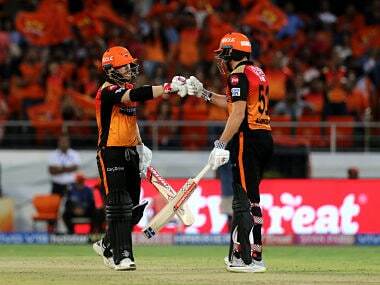 Undoubtedly, he is one of the best openers available in white-ball cricket and his departure from Sunrisers Hyderabad was a tad surprising. Dhawan is flashy, perhaps not as much as his former opening partner, David Warner, and certainly not as consistent. But over a long season, he does come into his own. He scored 501 runs in 2016 IPL, 479 runs in 2017 IPL and 497 runs in 2018 IPL. There is certain consistency herein, so much so that even Mumbai Indians were interested in him. But Delhi Capitals brought Dhawan in, and it does assure them a handful runs at the top of their batting line-up. Additionally, Dhawan brings stability that the ageing Gautam Gambhir failed to provide in 2018. Then, you have Colin Ingram, Colin Munro, Chris Morris and Trent Boult – senior players who, like Dhawan, are rich in white-ball experience. Add to it the mercurial Caribbean T20 flavour in Keemo Paul and Sherfane Rutherford, and Delhi Capitals almost have a problem of plenty from their overseas quota of players. If there is one weak link here, Delhi do not boast a certifiable Indian all-rounder, with Hanuma Vihari yet to prove his T20 wares. They let go of Vijay Shankar (in exchange for Dhawan) which is not a calculated move given his late rise in the Indian ODI ranks. While Boult, Rabada and Morris will spearhead their pace attack, there isn’t much to choose from in terms of Indian pace talent. Ishant Sharma is the senior-most bowler, but he isn’t too well known for white-ball exploits. In fact, he is returning to the IPL after sitting out for two seasons because no franchise picked him at a higher price than the current INR 1.1 crore Delhi paid this season. Among the greenhorns, Nathu Singh had garnered eyeballs in domestic cricket, and he could get a run here. Their spin attack looks more balanced. Amit Mishra is ever-present in any Delhi IPL squad, but it is the addition of Axar Patel that grabs attention. Patel didn’t have a great 2018 IPL, wherein he was side lined at Kings XI Punjab after the arrival of R Ashwin and Mujeeb ur Rahman. This could be a fresh lease of life for him, because left-arm spinners, like wrist spinners, are at a premium in T20 cricket. Mishra could get competition for his spot from Nepalese sensation Sandeep Lamichhane, although it will probably come down to overseas quota again. 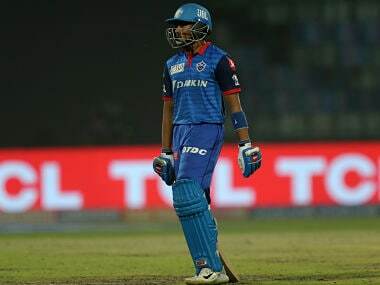 Delhi Capitals’ first-choice playing eleven in their opening game against Mumbai Indians on 24 March is expected to look like this: Shikhar Dhawan, Prithvi Shaw, Shreyas Iyer, Rishabh Pant, Colin Ingram, Chris Morris, Jalaj Saxena, Amit Mishra, Axar Patel, Trent Boult, Kagiso Rabada. It leaves much room for chop and change as the season wears on, owing to opposition and more importantly conditions when playing at the Feroz Shah Kotla. The big question to ask herein is if Shreyas Iyer is the right choice to lead this side. Last year, he was given this job mid-season because Gambhir had stepped down. It was a questionable move even at that point but it was more of a ‘what do we have to lose’ kind of situation. The stakes are higher this time around. 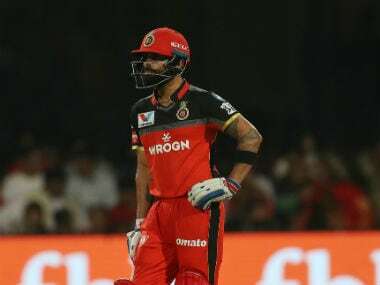 Could Iyer have been made a vice-captain with an eye on the near future as in Virat Kohli’s case at Royal Challengers Bangalore all those years ago? But then what would have been the alternative? Dhawan maybe, but he has never shown/expressed a desire to lead in the IPL. Morris perhaps but he isn’t available for the entire season given South Africa’s early build-up to the 2019 World Cup. As such, it might seem a gamble to anoint Iyer as captain once again, but with coach Ricky Ponting and consultant Sourav Ganguly in place, there will be no dearth of leadership. Given their success with Bengaluru Football Club, JSW’s entry into cricket with Delhi Capitals is good for the IPL, and for the future of this franchise. Rest assured, they will not sit around and let failure become the norm. It is only a question of how they will bring about this change, and what is a good starting point for them in 2019. In eleven IPL seasons, Delhi Capitals (erstwhile Daredevils) have only entered the play-offs thrice, and the last instance was in 2012. Since then, their highest finish has been sixth in 2016 and 2017. In 2018, they finished eighth. If they could somehow manage to finish in the top-five this season, JSW ought to consider it a good-enough investment and something to build upon.